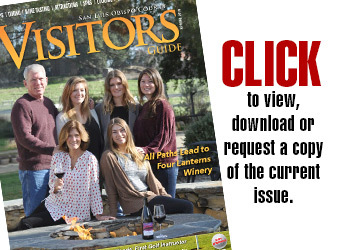 The San Luis Obispo County Visitors Guide, the region’s premier travel magazine, offers an exclusive Front Cover Feature Photo opportunity for unparalleled promotion of local businesses, venues, and events. 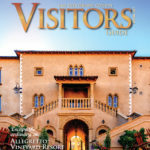 It’s a large feature photo on the cover of the Visitors Guide. It includes a feature article and photo inside the magazine. It includes a short headline on the cover promoting the article. 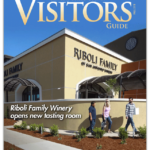 35,000 copies of the magazine are distributed to 650 locations around the county every quarter. 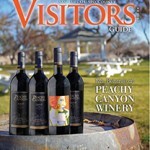 The cover is promoted online to thousands of tourists and locals. 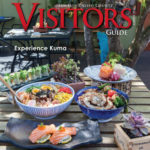 The editor selects businesses from around the county that offer goods or services attractive to visitors. The editor reserves the right to select the cover photo. The cover headline is written by the editor and follows magazine style and fonts. A selection of photos may be submitted, or we may assign a photographer. The orientation of the photo is vertical and will be covered at the top by magazine title. Photos with visual interest and people make the best covers. The Front Cover Feature Photo is editorial and is not an advertisement. Technical dimensions for submission of photos is 8.375″ wide by 10.75″ tall with a .25″ surrounding bleed of image, with a 300 DPI minimum resolution. Feature cover photo does not include the small banner ad across the bottom of the cover. It is sold separately. The glossy magazine comes out four times a year with a fresh edition for each season. *As of March 31, 2019, subject to publisher approval, signed agreements, and pre-payment received. The Front Cover Feature Photo is a tremendous marketing value. 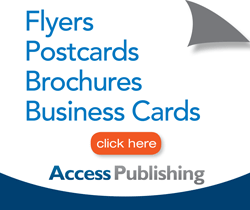 If you sent out a small postcard to 35,000 people, it would cost over $11,490 to print and mail those postcards. 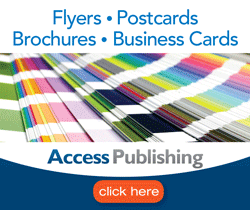 We offer the cover for a fraction of that cost. 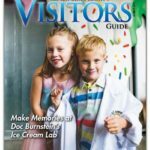 Plus, the magazine is delivered directly to your target audience. 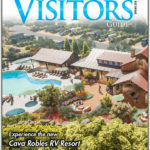 The largest part of the distribution is to hotels that place the magazines inside their hotel rooms, and are used by multiple guests. 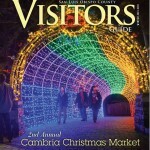 Call (805) 226-9890 to inquire about cover photo pricing. Payment in advance is required to reserve the cover feature photo. 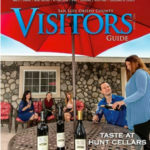 The San Luis Obispo County Visitors Guide features wine tasting, dining, lodging, shopping, spas, attractions, and more. 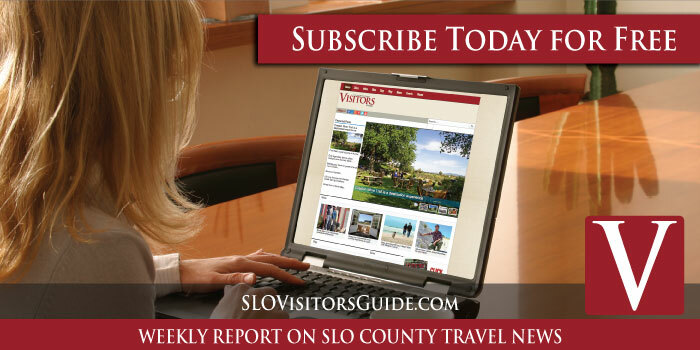 The guide covers the cities of Atascadero, Arroyo Grande, Avila Beach, Cambria, Cayucos, Grover Beach, Los Osos, Morro Bay, Nipomo, Oceano, Pismo Beach, San Luis Obispo, Santa Margarita, Templeton, Paso Robles, San Miguel and all of San Luis Obispo County.